2367 HARBOUR GREENE Drive Surrey V4A 5M5 : Crescent Bch Ocean Pk. This is a gorgeous home, idea for the Ocean Park family lifestyle, situated in private, quiet Harbour Greene Estates, it gives easy access to Crescent Beach and all Ocean Park Village amenities. Kids go to Ocean Cliff Elementary or Elgin Park Secondary, very highly desired schools. The home has a huge rear yard featuring a 2 tier entertainers sundeck & treed, private, luxurious Stanley Park setting. Home has West Coast flair with unique ceilings, arches and many updates. Gorgeous reno with walls removed & opened up. Kitchen has Corion counters, gas cooktop, built in appl, addition to house extending eating area out to enjoy backyard. Hardwood floors, newer carpets, beaut. circular staircase with unique wood accents. 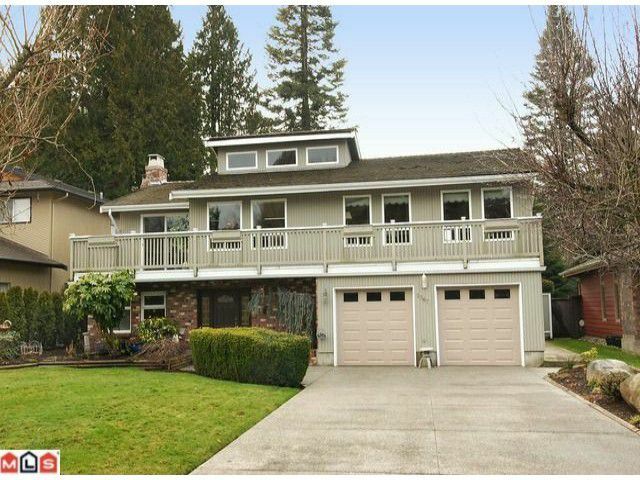 There is a West Coast flair with beautiful vaulted cedar ceilings. Huge west exposed backyard, fenced in quiet neighborhood. Walk to beach, easy 5 minute drive to all Ocean Park Village amenities. Easy access to Crescent Beach, nature trails, and schools. Unique!